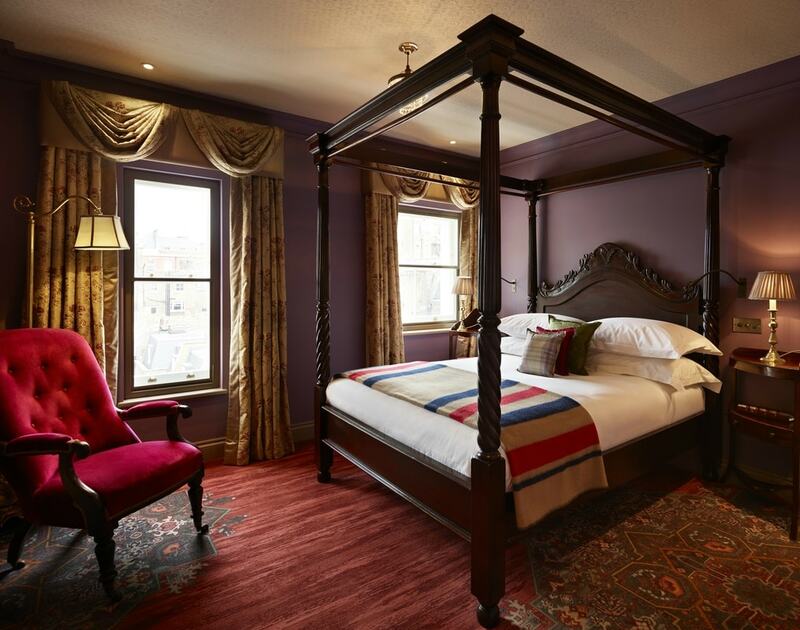 If you’re looking for a hotel with characterful decor and an eccentric vibe, The Zetter Townhouse in Marylebone offers escapism at its best. 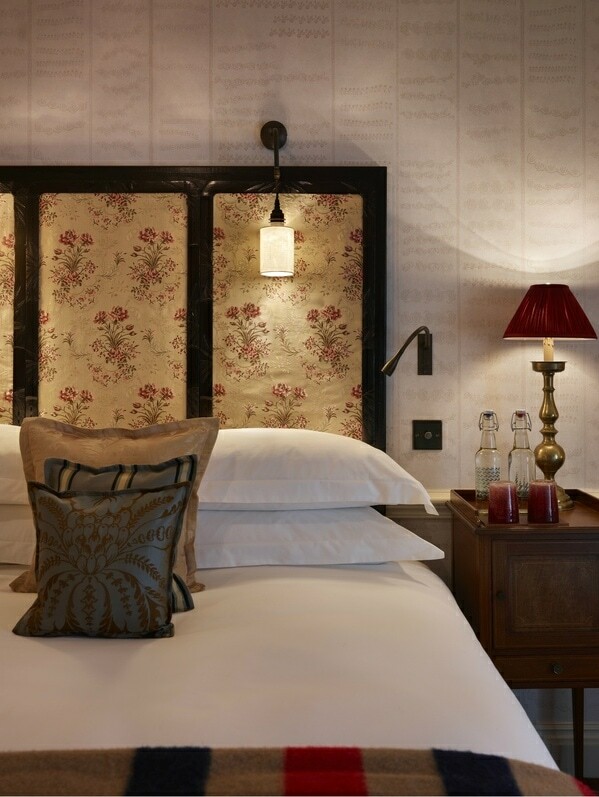 Perfectly located for London shopping and sightseeing, this quirky one-of-a-kind Georgian townhouse hotel benefits from a central location, just north of Marble Arch and a short walk away from Hyde Park. 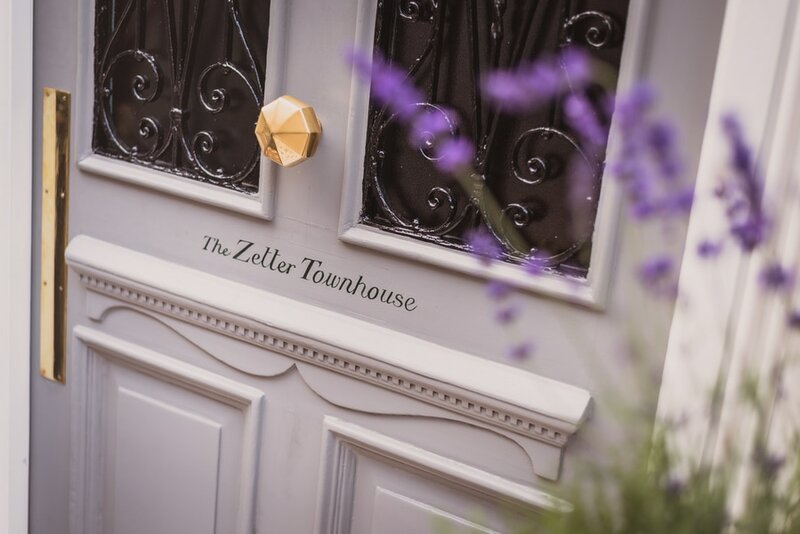 The second hotel added to the independently owned Zetter Group’s ‘Townhouse’ family, the Zetter Townhouse Marylebone launched in 2015 and has been a popular choice for tourists and Londoners alike. 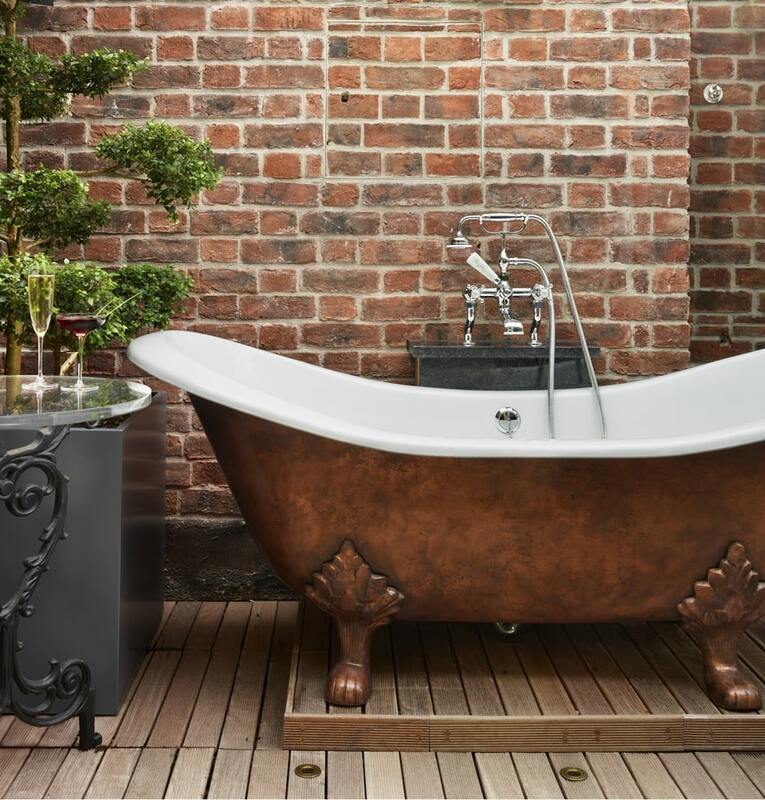 With 19 bedrooms and four studio suites, the Zetter’s crowning glory is the spectacular rooftop apartment accessed by its own private staircase, where you can bathe under the stars in the alfresco copper bathtub. 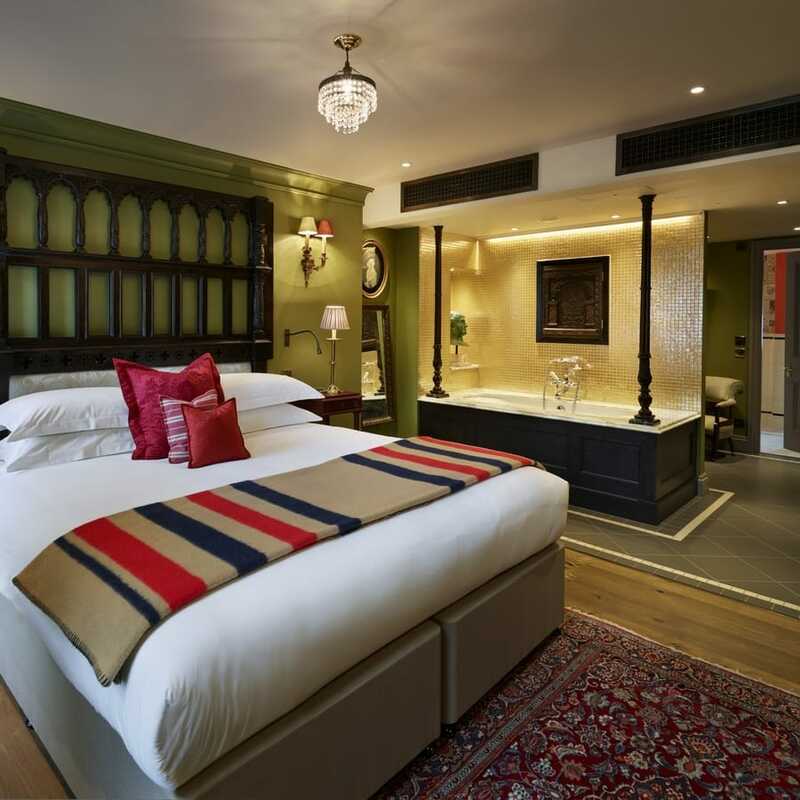 Inspired by Sir John Soane’s Museum in Holbourne, the hotel has a dark and decadent feel and an eclectic mix of antiques and curiosities give the building its striking character. With comfortable armchairs to sink into, guests feel happy to relax at the hotel for hours on end, simply exploring the interesting knickknacks displayed in glass cabinets. 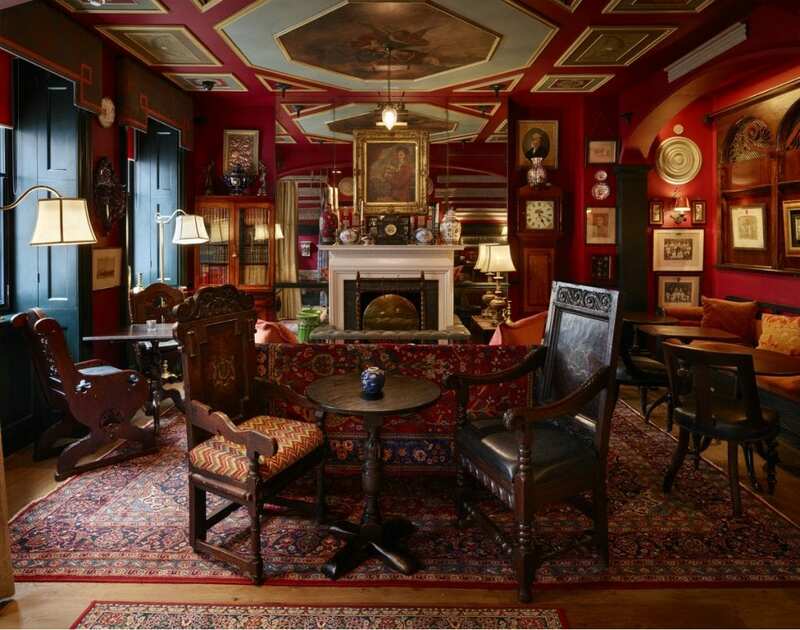 If there were an award for the most dramatic hotel reception, it would surely go to the Seymour Lounge, the Zetter’s crimson-red cocktail lounge bedecked with old framed prints and painted crockery which also doubles up as a breakfast room. It’s in the Seymour’s Parlour that the Zetter hosts events and parties each month, celebrating everything from Mardi Gras and Valentines to Bastille Day. When it comes to keeping guests entertained with new and exciting experiences, the Zetter hosts jazz bands, dancing 20’s flapper girls and renowned mixology icons, guaranteeing a uniquely fun evening. 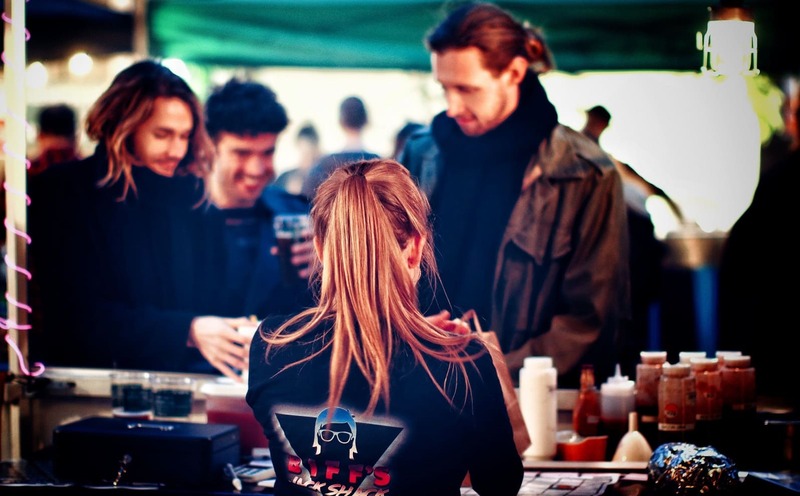 The Zetter collaborates with the revolutionary team at The Drink Factory to create a bespoke, cutting-edge cocktail menu. Themed cocktails are dependent on what has inspired the team that day. 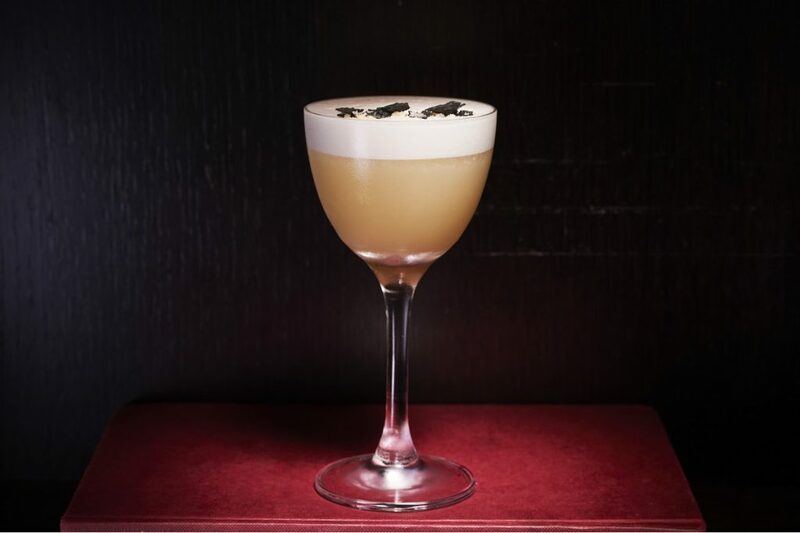 For St. Patrick’s Day, A Priory Sour was on the menu, a sumptuous concoction of Beurre Noisette, whiskey, malted barley syrup, lemon, and oat-infused egg white. 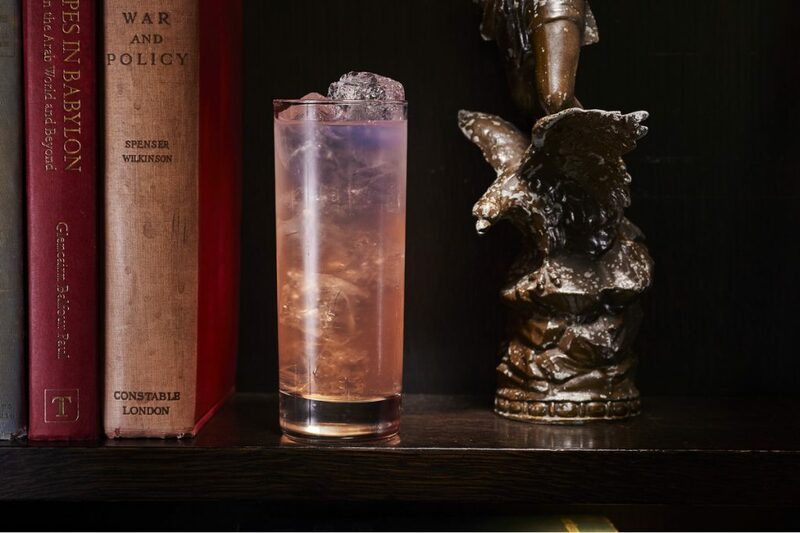 To celebrate the changing of the seasons, Fleur Du Mal was made with Orris & Rose vodka, lemon juice, egg white and a hint of absinthe – the perfect drink to have in hand when there is a hint of spring in the air. 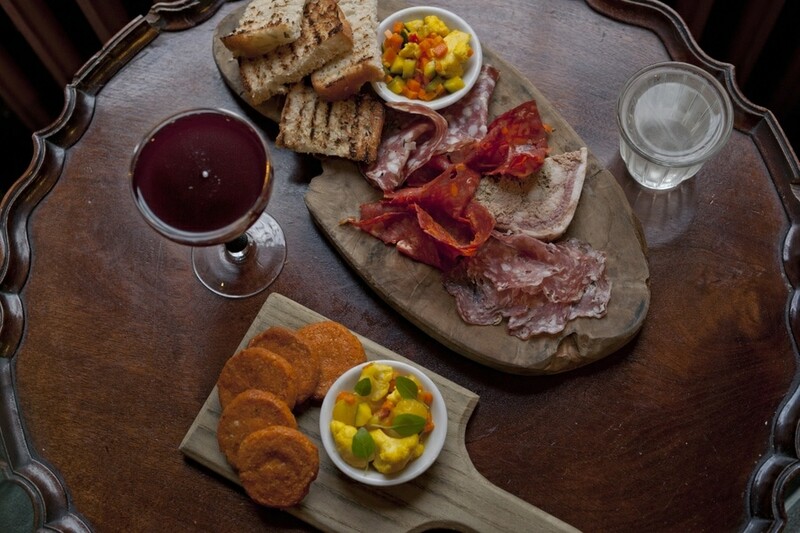 For an evening meal, share charcuterie platters, cheese boards or potted dips and crispbreads between friends, or tuck into shepherd’s pie or beef daube with creamy mash. After a comfortable night’s sleep, guests can enjoy a classic continental breakfast in the morning with pastries, freshly baked bread, homemade muesli, and fruit, as well as cooked options like toasted muffins, porridge and eggs. Followed, of course, by a Bloody Mary with horseradish vodka and homemade Tabasco, you’re set for the day. 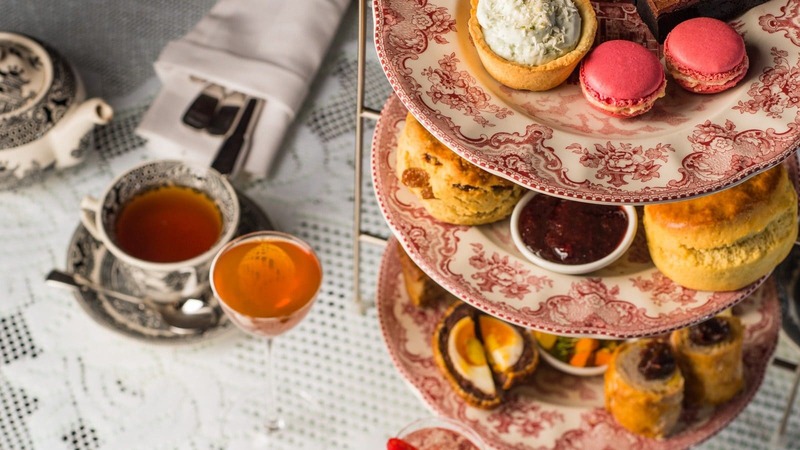 It’s not often that a hotel’s afternoon tea is heralded as the best in London by Vogue, but looking at the Zetter menu you can see why. The scones are simple and classic, freshly baked with Cornish clotted cream and strawberry preserve; but the additional treats make it special. Choose from finger sandwiches such as honey roast ham or smoked salmon, or go for the Uncle Seymour menu featuring truffle sausage rolls and mini croque monsieur. Cakes include choux buns and raspberry and rose macaroons. 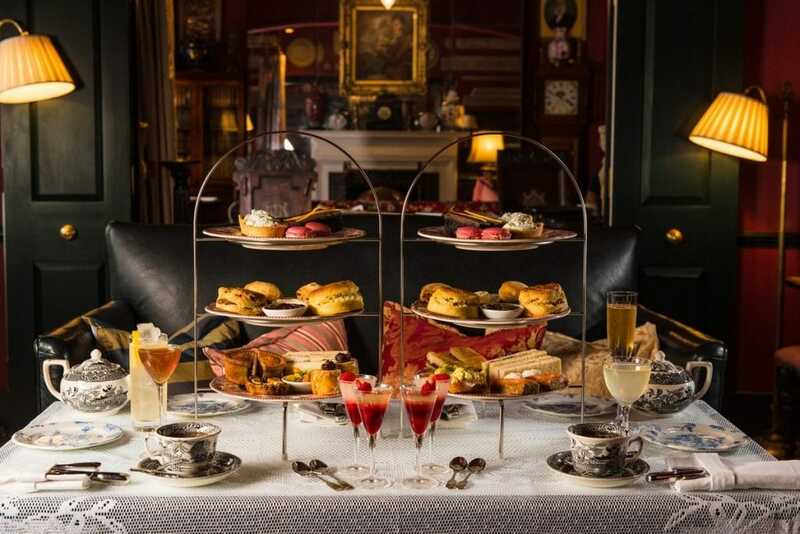 Wash it all down with a glass of bubbly and you have a very indulgent take on the traditional British afternoon tea. The story behind the building is a fascinating one; the six-storey townhouse was declared unsafe and much of the structure had to be replaced before it could be transformed into the boutique hotel that it is today. 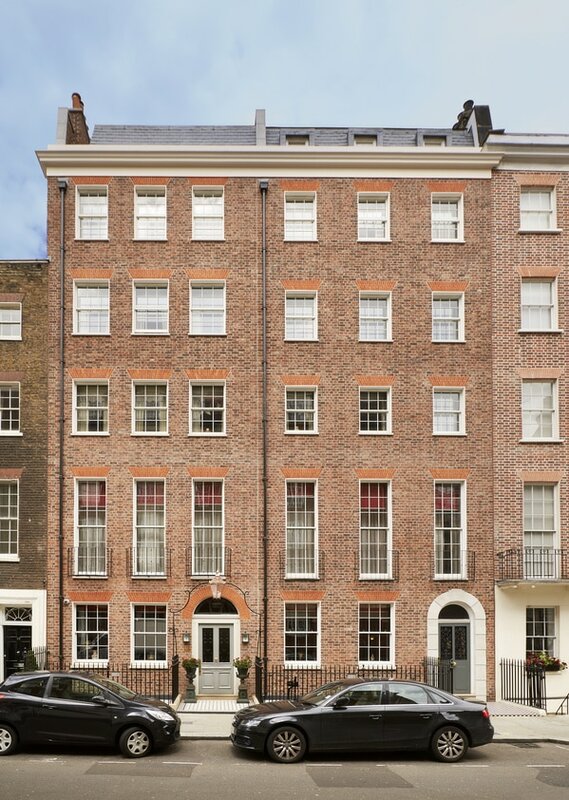 This was a major rebuild, masterminded by the architects at Harper Downie, and required expert knowledge and sensitivity to protect the historic character of the building. 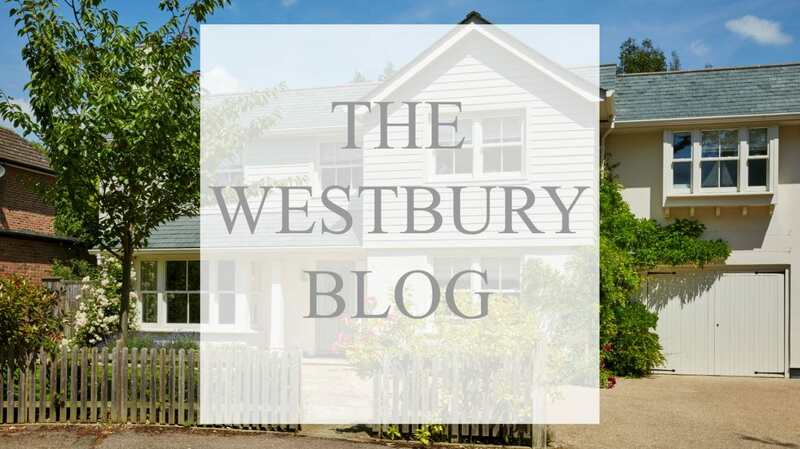 The building originally had single glazed windows, which Westbury replaced with modern timber box sash replicas to meet listed building regulations. 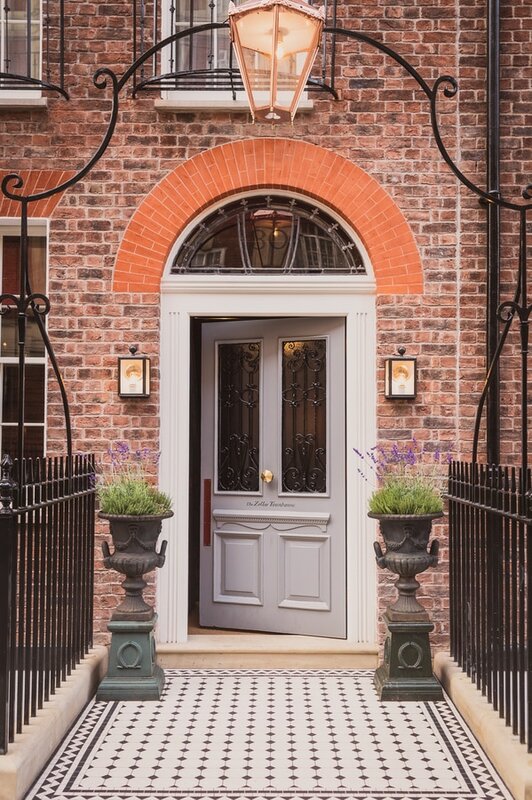 We refurbished the original front door, giving it a new lease of life in a delicate lilac shade. 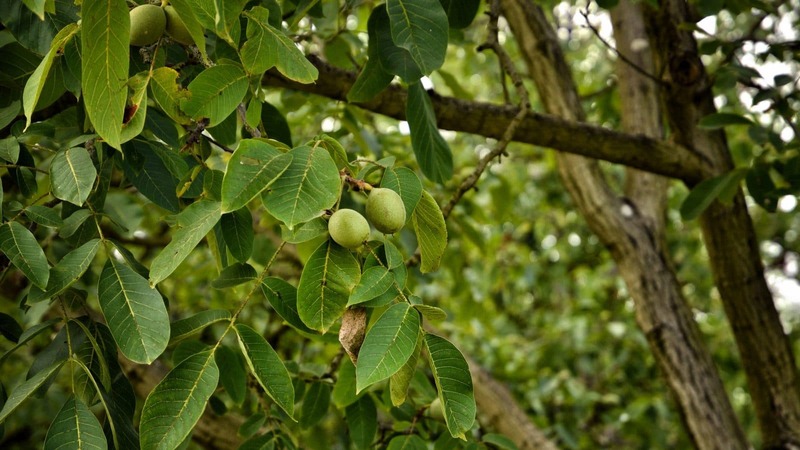 See our case study here for more project images. This sturdy, heavy front door is so much more than an entrance. It is the first impression guests have as they walk up to the hotel, seeing the building for the first time. It also acts as a gateway between the busy city outside and the whimsical, quirky retreat that guests can escape into, feeling like they have stepped back in time as they walk through the threshold. Afternoon tea is served between 12 – 5pm every day, and until 6pm on Sundays. Contact the team to book a table for the ultimate Mother’s Day treat. The hotel is also available for weddings and exclusive hire. 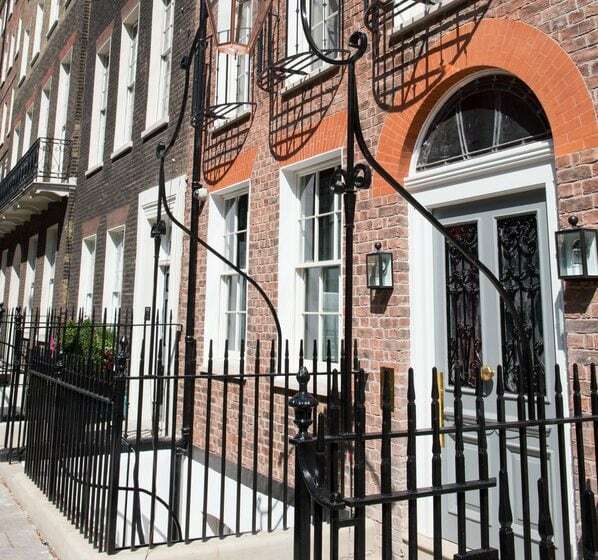 Call 020 7324 455 or visit www.thezettertownhouse.com/marylebone for more information.